Market Hotel (1140 Myrtle Avenue), a legendary space and a music venue operated by Todd P. is reopening tonight with a Sleater-Kinney concert. The venue, previously operated illegally, was shut down by cops in 2010. Tonight Market Hotel is returning as a legal venue and a non-profit organization. "Especially in these days of ever-encroaching commercialism and corporatism in "indie rock," we envision a space that is a non-commercial spiritual home for independent rock music and independent art – but also is sustainable and sanctioned enough to expand the horizons of independent-minded tastes, and open our doors to music and art from the rest of our diverse Bushwick community," reads an announcement on Market Hotel website. 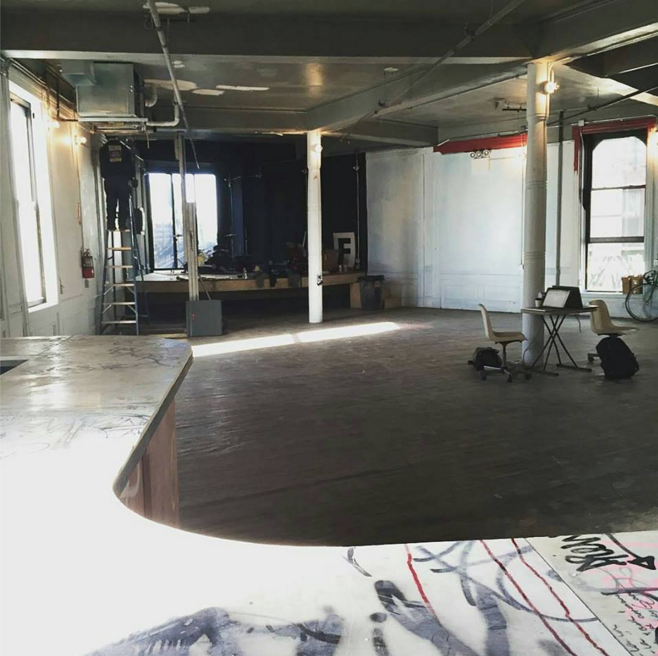 According to Brooklyn Vegan, in 2011 Todd P received an anonymous donation in the amount of $100,000 to renovate the space and get it up to code, but it wasn’t until 2013 that renovations officially began. According to their Twitter account, Market Hotel has a temporary liquor license for tonight, which implies that the venue is still waiting for their permanent liquor license. The Sleater-Kinny tickets were $25 and are currently sold out. The next show at Market Hotel hasn't been yet announced.